Usually I put the quote “set your DVR” at the font of these posts. But since the Hyundai Tournament of Champions is in Hawaii, the live broadcast (starting Friday) is in prime time. See TV times below. The PGA Tour season starts this week at the Plantation Course at Kapalua, in Kapalua, Maui, Hawaii. 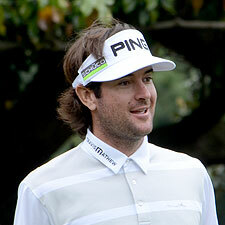 This is an event open to winners on the 2012 PGA Tour, resulting in a field of 30. This 72 hole stroke play event is a no-cut affair which usually produces some of the longest drives of the year with the elevation changes and prevailing winds at Kapalua. Fun golf for TV. I have been waiting all year for it to start. Tony, I think you mean Monday for that last TV time, mate. Duh. CBS sports has it that way! The one time I went to them for the times in the last year versus other sources. Hero liked this on Facebook.